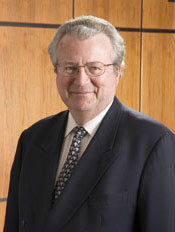 John Hofmeister is a key member of the United States Energy Security Council, a bipartisan group which includes former Secretary of State George P. Shultz and two former secretaries of defense, William J. Perry and Harold Brown, as well as three former national security advisers, a former C.I.A. director, two former senators, a Nobel laureate, a former Federal Reserve chairman, and several Fortune-50 chief executives. Upon retirement from Shell Oil Company in 2008, Hofmeister founded and heads the not-for-profit (501(c)(3) nation-wide membership association, Citizens for Affordable Energy. This Washington, D.C.-registered, public policy education firm promotes sound U.S. energy security solutions for the nation, including a range of affordable energy supplies, efficiency improvements, essential infrastructure, sustainable environmental policies and public education on energy issues. As Shell president, Hofmeister launched an extensive outreach program, unprecedented in the energy industry, to discuss critical global energy challenges. The program included an 18 month, 50-city engagement program across the country during which he led 250 other Shell leaders to meet with more than 15,000 business, community and civic leaders, policymakers, and academics to discuss what must be done to ensure affordable, available energy for the future. A business leader who has participated in the inner workings of multiple industries for over 35 years, Hofmeister also has held executive leadership positions in General Electric, Nortel and AlliedSignal (now Honeywell International). Hofmeister serves as the chairman of the National Urban League and is a member of the U.S. Department of Energy’s Hydrogen and Fuel Cell Technical Advisory Committee. He serves as non-executive director of the Hunting PLC, London, UK, CAMAC Energy, Inc., Sodexo North America Business Advisory Board, advisor to Liberty Power of Fort Lauderdale, Fl, the nation’s largest minority owned power company. He also serves on the boards of the National Energy Security Council, Washington, D.C.; the Foreign Policy Association, New York; Strategic Partners, LLC; the Gas Technology Institute and the Center for Houston’s Future. Hofmeister is a fellow of the National Academy of Human Resources. Hofmeister also is a former chairman and now serves as a director emeritus of the Greater Houston Partnership. He is active in education serving on the Energy Advisory Board at the University of Houston. Hofmeister earned bachelor’s and master’s degrees in political science from Kansas State University. In May 2010 he was awarded an honorary doctorate of letters from the University of Houston. John Hofmeister is the author of Why We Hate the Oil Companies: Straight Talk from an Energy Insider (Palgrave Macmillan, 2010).